Just in case you haven't seen this on the shelves yet, I wanted to let you know that Robin Hood has come out with a gluten free flour blend made from rice flour with sugar beet fibre and potato and tapioca starches. We haven't tried it yet, because we usually stick with Kinnikinnick's gluten free flour blend. 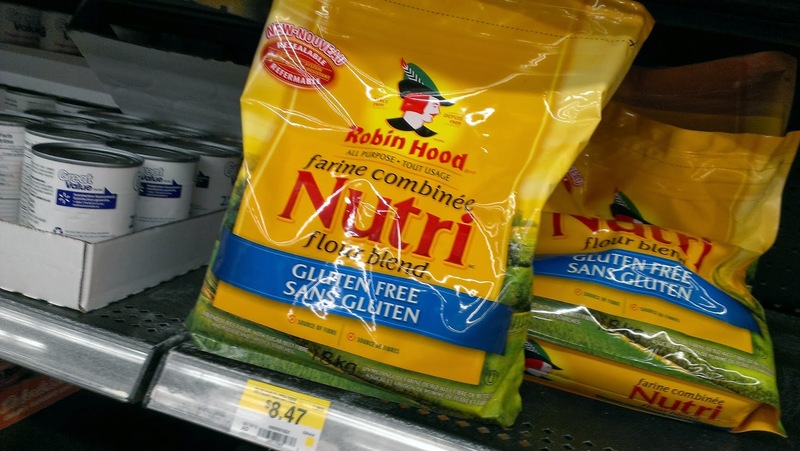 You can find this gluten free flour blend at all major retailers in Edmonton. It is always found where the flour's are kept. But don't worry about cross contamination on the shelves. They are sealed in a heave plastic resealable bag. Just give the bag a good wipe down before putting it away on your shelves. I have tried this. It was by fast the WORST gluten free flour I have ever used. In fact, I threw out the remainder of the bag and all of the muffins I made with it.